Ask an American judge or lawyer about the rule of law, and the answer is likely to come in reverent tones. It’s essential for an orderly society; it separates us from tyrannies; it’s one of the hallmarks of our civilization. Imagining American law through any lens other than the Rule of Law seems unthinkable. Indiana University Law Professor Charles Gardner Geyh dares to assert the unthinkable. In his new book, he contends that judges and lawyers who cling to this paradigm – especially those who do so reflexively, unthinkingly – have lost sight of reality. Geyh defines the rule of law paradigm as “a government of laws established (directly and indirectly) by the governed, that an independent judiciary, unsullied by extralegal influences, interprets and applies, subject to limited accountability.” He finds nothing wrong with that as a statement of aspiration, but as a descriptor of American courts, it does an increasingly poor job. That’s because judges aren’t truly independent, and extralegal influences routinely play a major role in their decisions. Geyh notes that there are three types of checks on judicial decision-making. Adjudicative checks focus on delivering a fair hearing for the parties. Political checks reflect society’s views of judicial performance. And ethical checks – the canons of judicial conduct – ensure that jurists adhere to internal standards of integrity. Adjudicative and ethical checks traditionally predominated, as many Americans regarded the judiciary as being removed from politics. They saw judges as impartial arbiters who followed the law, ignoring all political considerations. This book offers an evolved view, which Geyh calls the legal culture paradigm. It recognizes that judges don’t bring a clean slate into their judicial careers, or even into individual cases – even when they insist that they do. Subconscious factors will always tincture a judge’s views of the facts and the law, as long as it’s human beings who wear the robes. It’s better, Geyh insists, to recognize this reality, and adjust our view accordingly. The reality comes with an ugly side, reflected in the book’s subtitle. Public confidence in the judiciary suffers when citizens, including the media and academia, find social-science data to back up their enduring suspicions that judges aren’t calling balls and strikes impartially. This implicates the political check on judicial conduct. It manifests itself most strongly in states with direct judicial elections, but is still a factor in places like Virginia, where judges periodically have to answer to one of government’s political branches. In today’s environment, political oversight of judicial actions can produce a circus atmosphere. Geyh’s new paradigm holds that “there is a distinct [legal] culture, of which judges are a part.” That culture requires that we take the law seriously, a factor that makes many of us cling to the rule of law view. But judges have to make decisions all the time in the “gaps” in the law – issues where statutes or caselaw provide no defined correct answer. Judges should have the freedom to make those judgment calls based on the law, but also on their experiences. Their prejudices play a role that we cannot simply ignore. Geyh is no Pollyanna; he recognizes that effectuating his proposal will require some tweaks, spelled out in Chapter 7. But in his effort to describe accurately how our system actually works, instead of how we wish it worked, he makes a compelling case to reexamine our reverence for the rule of law. At just 161 pages, this is a short book, but don’t mistake it for a fast read; take something else to the beach. The topics here are complex, and you’ll find yourself stopping on occasion to silently argue back, based on an ingrained view of the rule of law as sacred. But Geyh’s ideas are worth reading by anyone with an interest in how politics and the judiciary intersect in modern America. L. Steven Emmert is an appellate lawyer at Sykes, Bourdon, Ahern & Levy in Virginia Beach. 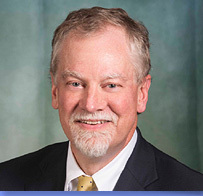 He is immediate past chair of the Boyd Graves Conference, and publishes the website Virginia Appellate News & Analysis.